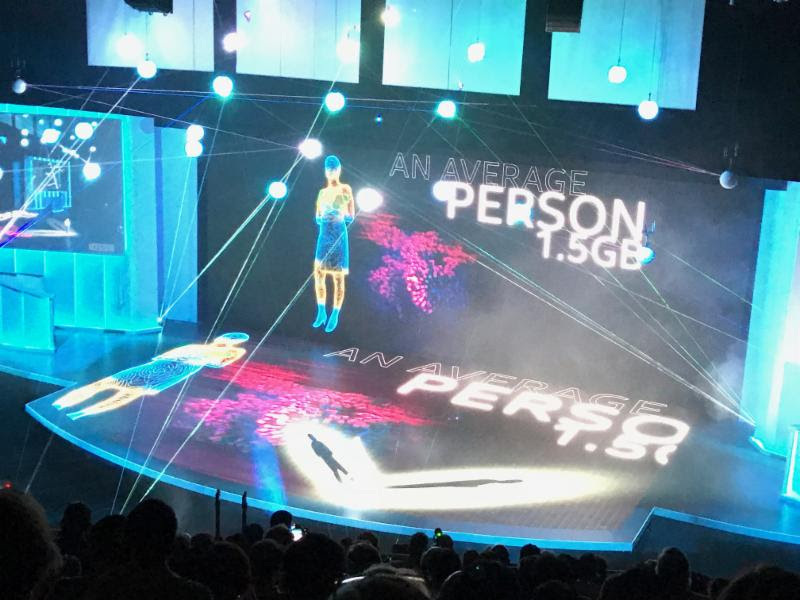 JANUARY 11, 2018 – LAS VEGAS, NV – Fireplay, the full service multi-disciplinary creative and design studio, created and implemented a unique custom laser effect for the Intel keynote speech at the 2018 CES in Las Vegas, NV. Working with the event’s technical producers, John Halloran Associates, Fireplay assembled a team of technologists, programmers and laserists to create a proprietary laser effect to help Intel announce several technologies that are anticipated to have significant impact on our day to day lives through the use of data. 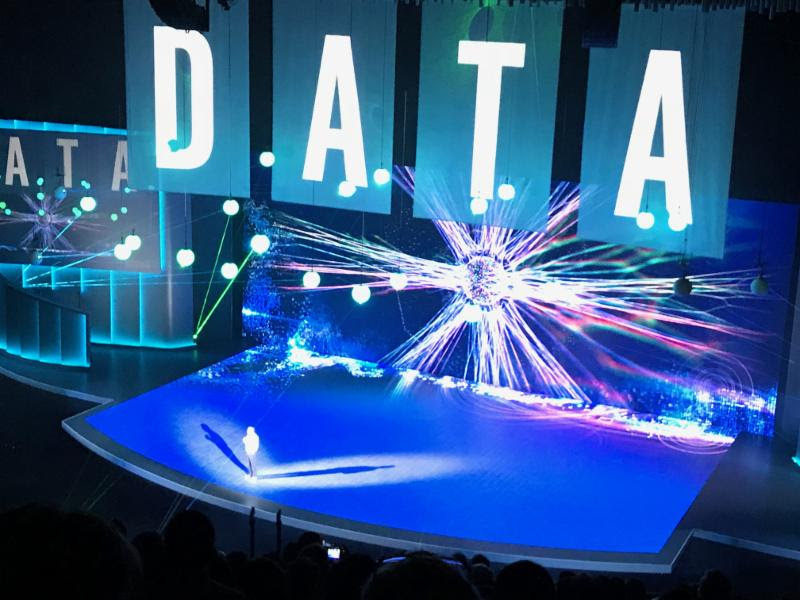 For the presentation, Fireplay designed and implemented a system of moving spheres, LED illuminators and pulsed high power laser beams to symbolize data flowing between connected devices and cloud-based network nodes. By executing a real time, high accuracy 3D tracking system that directly controlled the laser focus, each laser constantly tracked the target spheres as they moved in space. This allowed the master lighting board to create high speed, sequenced laser pulses that appeared to travel around the virtual network of nodes, symbolizing the movement of data. 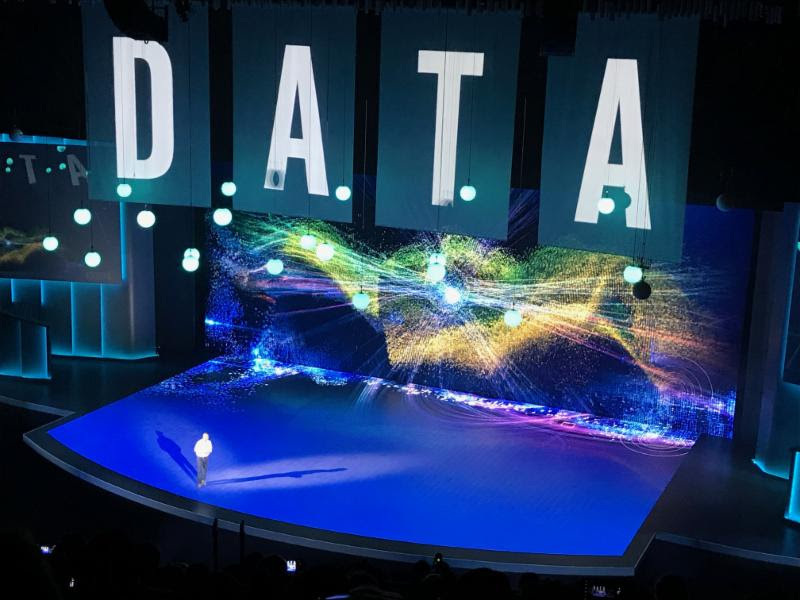 Intel used multiple cutting-edge entertainment technologies to demonstrate for a live audience how the new connectivity works. Fireplay is a cutting edge creative design studio founded in 2016 by seven of the industry’s most prolific creatives and is responsible for bringing to life award-winning production and innovative design across a wide range of mediums. They are the creative engine behind recent events featuring some of the biggest global names in music, including Jay-Z, Kanye West, Beyoncé, Britney Spears, Rihanna, Alicia Keys, Justin Timberlake, Thomas Rhett, The Killers, James Taylor, Brett Eldredge, and many more. While the concert and touring industry represents Fireplay’s core business, the collective also collaborates across sports events, civic events, restaurant design, nightlife production, corporate events, and more. With an arsenal of visionary skillsets and decades of experience under one roof, the Fireplay team has executed 60+ concert tours, 14 touring spectacles, 16 resident theater shows, 14 nightclub installations, 300+ corporate and civic events, 70 live television events and award shows, 60+ music and film festivals, 40+ restaurants, four permanent art installations, 10 major international ceremonies, and much more across the globe. Fireplay collaborates directly with its clients to bring their visions to life through the development of groundbreaking, innovative ideas and industry-shaking concepts.